According to someone make a tama is the hardest part on making a kendama, but if you have the proper tools and sharpen them a lot it is not so hard. 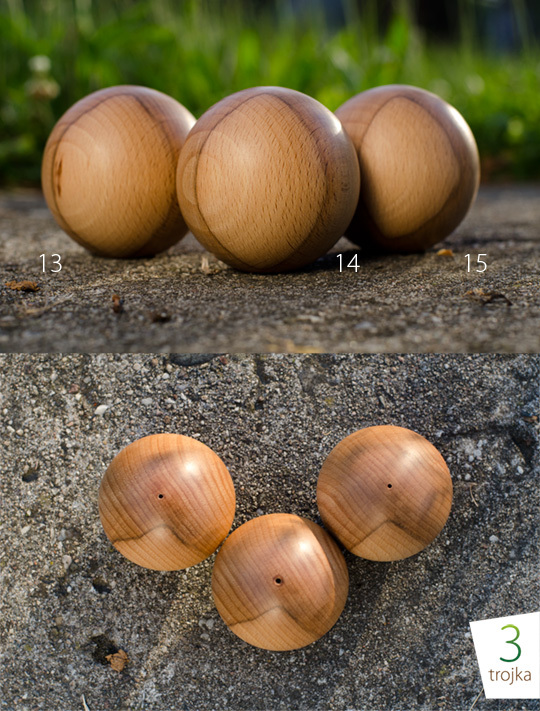 These balls are handmade by Mirek Šiřina from the wooden plank. Wood comes from Kloubouky’s wood and ball is made in Zlin (Czech republic), so it is totaly czech hand made. We are starting with two balls, Beau (Oak with Walnut) and Ghost (Beech wood). Here pick the Ghost you would like most and let us know in the order note.